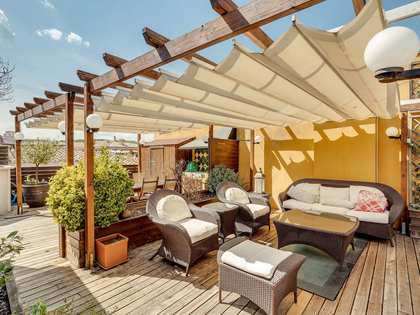 Girona has a more laidback feel than its bigger cousin and rarely gets the crowds of the Catalan capital except during its popular week-long flower festival in May. 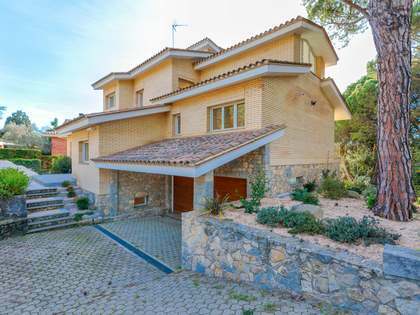 Within an hour’s drive are the beautiful beaches of the Costa Brava, the French border, the Pyrenees ski resorts as well as Barcelona itself, which can also be accessed by the high-speed AVE train in less than 30 minutes. Its 2000 years of history can be best seen via its two walled enclosures, the Força Vella and the Medieval Quarter. The former dates back to Roman times whilst the medieval extension was carried out during the 14th and 15th centuries. Much of the city’s charm lies in the narrow, cobbled streets that weave their way through El Call, the medieval Jewish quarter, one of the best preserved in Europe. 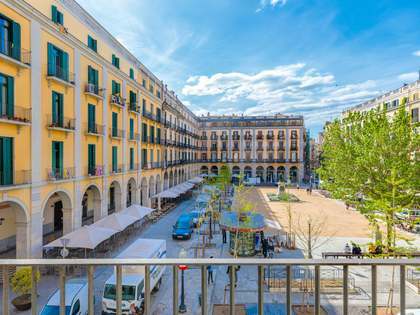 The city is neatly divided by the River Onyar: to the east is its historic Old Quarter, elegant churches, charming restaurants and boutique shopping whilst to the west you find high street shops and offices. 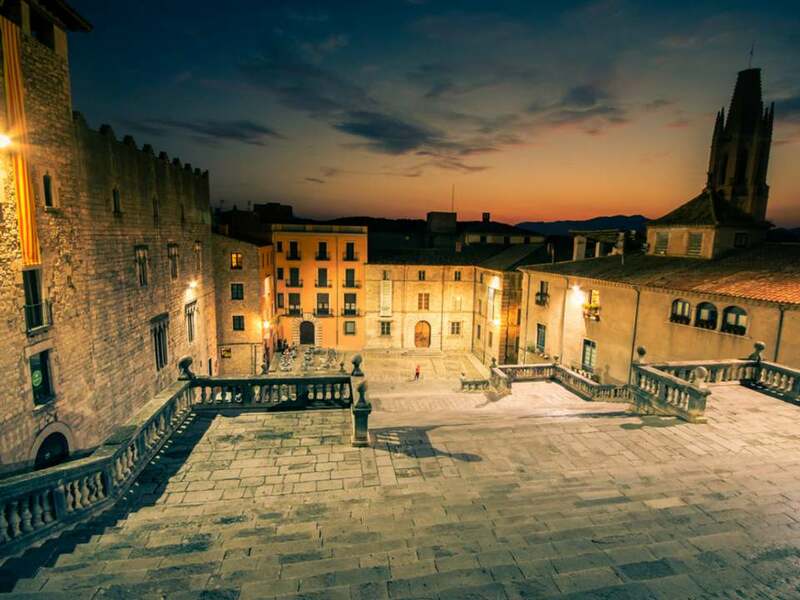 Testament to the city’s rich history and heritage are Girona`s seven museums, all of which play an individual role in portraying the area’s rich and diverse culture including the Museum of Archealogy, the Museum of Jewish history and the Museum of Cinema. Girona city and its outskirts have also become the go-to place for road cyclists in the last decade or so, offering exciting routes a perfect climate and good communications. Olot and Balnyoles are both close by which offer a wealth of different tracks for cyclists and for all sports enthusiasts: the landscape is also ideal for triathlon training , trail running, open water swimming, rowing, horseriding, hiking and of course skiiing. 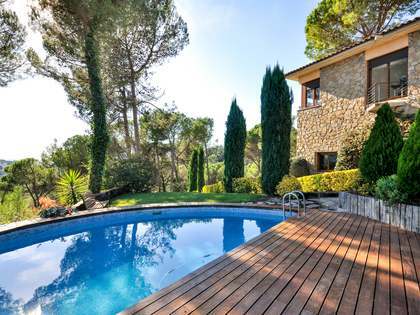 Spain’s number one golf course, PGA de Catalunya, is also on the doorstep. For lovers of good food, Girona city offers a plethora of restaurants from contemporary tapas to traditional Catalan cuisine. It is of course also home to the legendary Cellar Can Roca which has topped the ‘World`s Best Restaurants’ list on numerous occasions (it is currently at Number 2 in 2018). The waiting list for a table is still around a year however, so some serious planning is required! 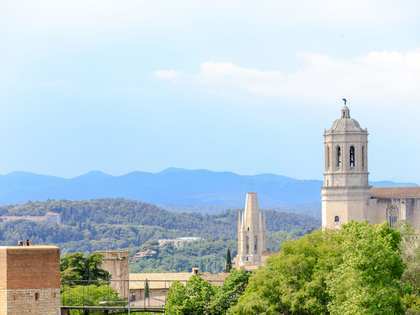 Girona boasts a highly ranked public non-profit university that is open to applications from international students. The city also has a reputed international school (St George’s) as well as Montessori Palau located near the centre of the city. 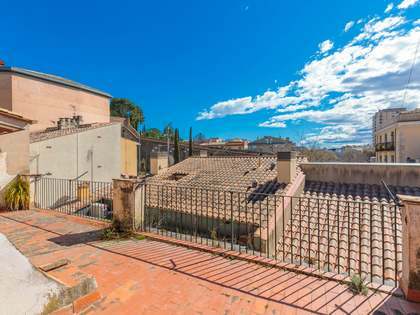 For international property investors looking to buy luxury property in Girona, the most sought-after area is the historic Old Town where buildings are beautifully preserved and offers a mix of architectural styles. Spacious luxury apartments for sale with wrought-iron balconies overlook arguably some of the most stunning streets in Spain and, whilst prices are creeping up, apartments for sale in Girona City continue to be significantly below the peak of 2007 and so provides an excellent alternative to Barcelona, where centrally located homes have priced some buyers out of the market.